This New Year’s Eve you can party in style at Sarasota’s premiere event while helping a local charity serving Sarasota and Manatee Counties. You know the date so join 500 other beautiful people at The Municipal Auditorium on Tamiami Trial to ring in the new year. This year a portion of the proceeds go to the Mayor’s Feed the Hungry Program so while you’re dancing the night away or helping yourself to another glass of champagne, you are also giving back to your community. The party being planned by the pros at Full Moon Promotions. These folks know how to plan a big party and this year it’s going to be lit with two full bars plus a dedicated champagne bar guaranteed to keep spirits high and bubbly flowing. A variety of hot and cold food stations will be presented throughout the venue by Premiere Catering. Be sure to make a stop at the sushi station is being created by Jpan sushi & grill. Of course, there will be a dessert bar to make New Year’s Eve in Sarasota proud. It wouldn’t be a great party without great music! This year the live band is Reverend Barry & the Funk. Along with them, DJ Jonathan Cortez AKA the JAC of All Trades will keep the New Year’s revelers on their feet with the hottest sounds and the coolest grooves all night long. That lucky charity is the Mayor’s Feed the Hungry Program. Founded over 30 years ago by then-Sarasota Mayor Fredd Atkins this nonprofit feeding charity has grown to serve all food pantries in Sarasota and Manatee counties. They collect food and donations throughout the year but the holiday season is their busiest time. Proceeds from this party is a perfect way to start the year off strong and money generated by the New Year’s Eve Charity Party will go towards purchasing grocery gift cards from Publix. It’s the biggest night of the year so you’ve got to go out! Don’t waste time at lame events where you get one glass of champagne at midnight. Go to a real New Year’s Eve party that everyone will be talking about long after the ball drops. And at the same time help the Mayor’s Feed the Hungry Program in Sarasota and Manatee Counties. 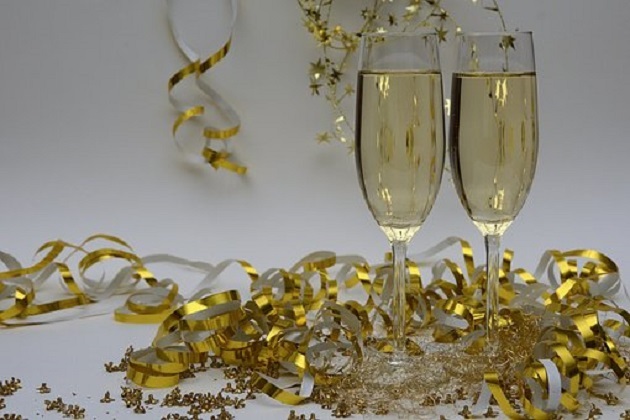 Party in style this New Year's Eve while helping a local charity. Discounted tickets are on sale now! For more hot parties, places to go and the best places to eat and drink visit 941area and check out our New Year's Eve Sarasota for additional events. Be sure to register for updates on sent to your mobile device. It’s free!